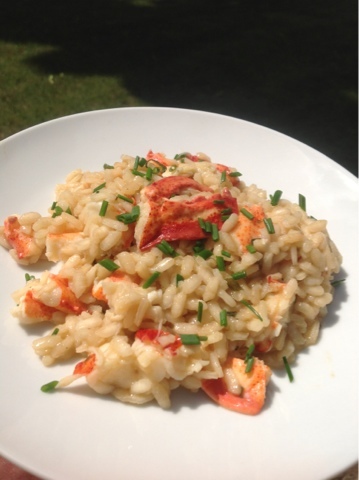 Ok, we weren't able to finish off all that lobster the other day, so we made lobster risotto the next. Guess we just can't get enough! I was just thinking about making this dish this morning, as lobster is going for $4.99 a pound here in NH. Yummy! Think I'll use your recipe!